The rise of Triple H to legendary status has been phenomenalThe rise and rise of Paul Michael Levesque aka Triple H is nothing short of impressive. 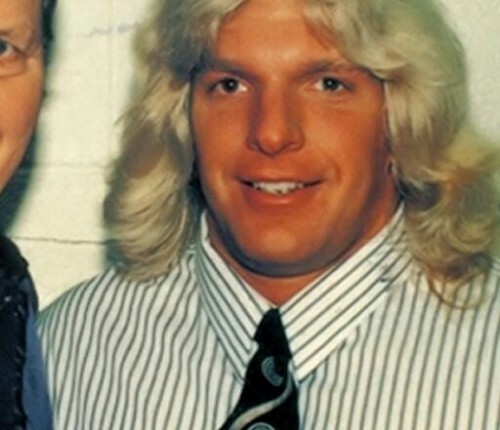 From a Connecticut Blueblood to Triple H, to landing one of the top executive positions in the franchise, Levesques story is what every boy dreams about.Every move he makes has naturally been followed very carefully by his immense fanbase, but as with any other superstar, there have been some facts about The Game that have slipped under the radar. Fortunately, were pretty good at unearthing and thats exactly what weve done in this article.So, ladies and gentlemen, I present to you 5 little-known facts about Triple H.
Everyone knows that Triple H and Chyna were a thing inside the ring, but what most don’t know is that real feelings crept into a scripted romance and the two were soon inseparable in real life. Everything was going cosy for the couple until one Stephanie McMahon entered the scene and managed to capture the affections of HHH. The outcome of Stephanie’s presence had a highly contrasting impact on the couple; Triple H eventually married McMahon and ended up with a plum position in WWE, while Chyna had a bad breakup with her former beau and found herself drummed out of the franchise in no time. A staged show like WWE does indeed have room for real emotions, and that’s exactly what Triple H showed before the infamous 1996 King of the Ring event. 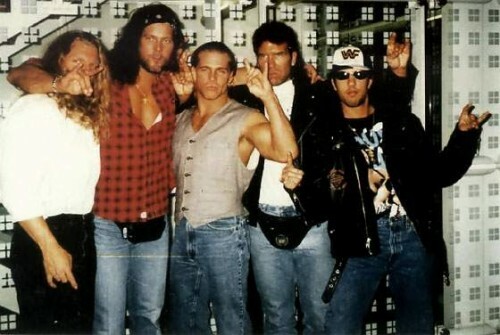 Triple H was a part of the Kliq along with Shawn Michaels, HHH, Scott Hall and Kevin Nash, with the latter two set to leave WWE. The four battled it out at Madison Square Garden, and after the match had ended Triple H hugged his departing comrades on live television. Needless to say the top brass at WWE were unhappy with HHH breaking character, and staged his loss to Jake ‘The Snake’ Roberts in the 96 KOTR(King Of The Ring) first round. However, one man’s loss is another man’s gain, and the title eventually went to “Stone Cold” Steve Austin, who gave his memorable ‘3:16 speech’ and became a WWE legend in the process. Triple H does hold a big position in WWE, which is a point of envy for many, with many possessing the thought that he married Stephanie just so that he could still have a great pay packet once he hangs up his boots. Those rumours, needless to say, are indeed false as the two are totally committed to each other and are enjoying a great marriage. What’s false, however, is his position in the franchise, with many incorrectly assuming that he’s the COO. 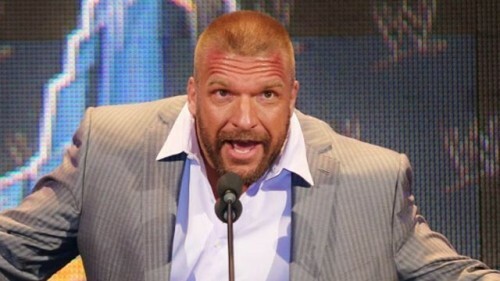 HHH began as an Executive Senior Advisor, later being promoted to Executive Vice President, Talent and Live Events in 2011. The 46-year-old received another promotion in 2013 and is now the Executive Vice President of Talent, Live Events and Creative. WWE, although staged, has had its fair share of injuries, and Triple H has been a victim of them many a time. HHH suffered a serious injury in 2001 in a tag team match with Stone Cold, against Chris Jericho and Chris Benoit. While attempting to break Jericho’s ‘Walls-Of-Jericho”, HHH ripped his quadriceps muscle completely apart from the bone. Despite that he finished the match, later finding out that the injury almost cost him his career. Then in 2002, HHH suffered a horrific throat injury after Rob Van Dam accidently landed on it, but finished the match and returned to the ring in just a week. His quadriceps were torn once again in 2007 when he attempted a Spinebuster on Randy Orton on Pay Per View. His recoveries have been nothing short of superhuman, I must say. Triple H is another talent to emerge from New England, a breeding ground for talented wrestlers, with John Cena, Spike Dudley and Damien Sandrow, all products of the state. HHH grew up in the Nashua area of New England, where he was inspired to build his body after winning a one-week free trial in a local gym. His rise to stardom began when he was crowned Mr. Teen New Hampshire at the age of 19 while training under legendary wrestler Walter “Killer” Kowalski. After a stint on WCW, HHH was signed to WWE in 1995 and there has been no looking back for The Game since then.